Over in the trending section of apps on Google Play, I ran across a game called Kitten Taxi. After reading a few reviews, which were mostly positive, I decided to give it a whirl, considering my admiration of cats. In the game, which is drawn up like a cartoon, you play as a getaway car-driving cat, who must help his bank robbery accomplice shoot up police cars, while also driving through tunnels collecting coins. The more coins you collect, on top of cops you destroy, the more upgrades you can purchase for your guns and vehicle. Navigating your vehicle is quite easy, too. All you do is drag your finger left to right, steering your kitty friends over ammo boxes and bombs to help you beat up big boss police vehicles. 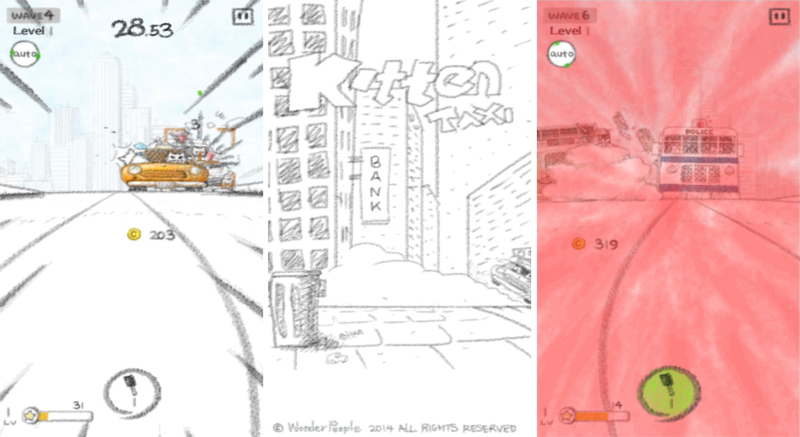 Considering the price of the game, which is completely free, I highly recommend Kitten Taxi. Unless for some reason you hate cats. Then I suggest you avoid it. But then again, maybe you should stop hating cats. Below is a bit of actual gameplay footage for you to enjoy.